The DFRduino Ethernet Shield V2 is finally released. This new version supports Mega both 1280 and 2560. And it supports Micro SD card read/write as well. The ethernet shield is fully functional now. The V2 Ethernet Shield is fully compatible with Ardunio Ethernet Shield. With the offical ethernet library, you can do exactly the same thing as the original one. But at a more affordable price. The Arduino Ethernet Shield allows an Arduino board to connect to the internet. It is based on the Wiznet W5100 ethernet chip. The Wiznet W5100 provides a network (IP) stack capable of both TCP and UDP. It supports up to four simultaneous socket connections. Use the Ethernet library to write sketches which connect to the internet using the shield. NOTE: The shield provides a standard RJ45 ethernet jack. The reset button on the shield resets both the W5100 and the Arduino board. 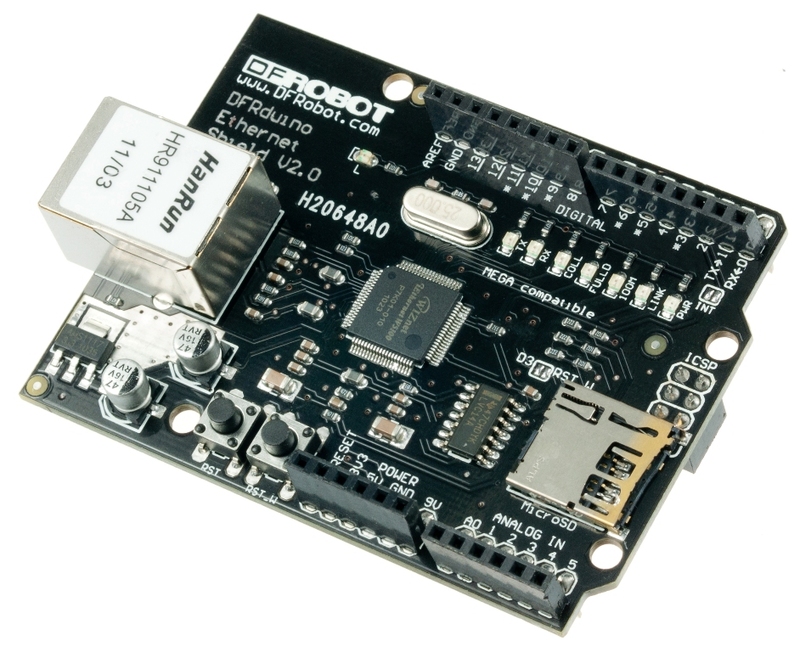 Get DFRduino Ethernet Shield V2 from DFRobot Store or DFRobot Distributor.